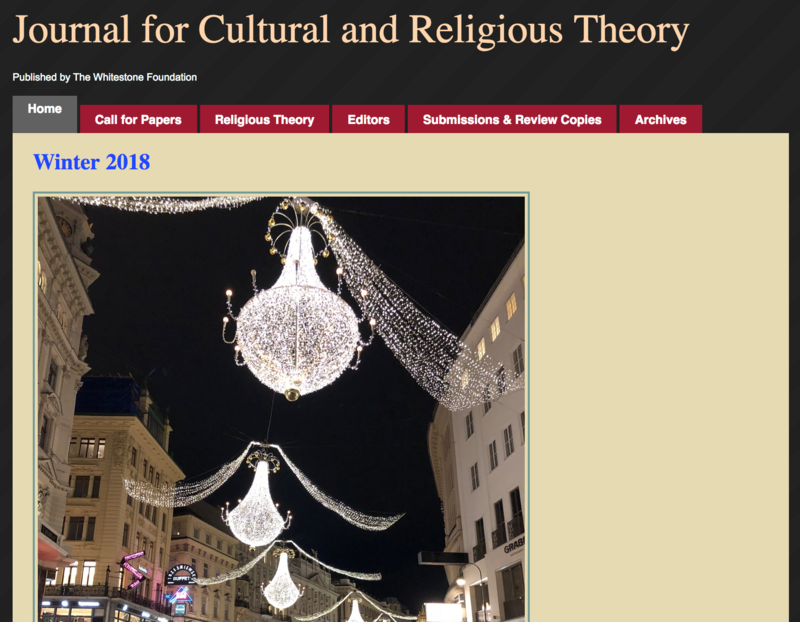 The Journal for Cultural and Religious Theory, which sponsors Religious Theory, is a peer-reviewed journal devoted to both disciplinary and interdisciplinary scholarship of a cutting-edge nature that deals broadly with the phenomenon of religious and cultural theory. Subfields include, but are not limited to, philosophical and cultural theory, theological studies, postcolonial and globalization theory, religious studies, literary theory, cultural studies, ethnic, area, and gender studies, communications, semiotics, and linguistics. The JCRT is free of charge, and is normally published on a quarterly basis. Current institutional sponsors are the University of Denver, University of Central Arkansas, and York College of Pennsylvania. Submissions to the journal, as opposed to the Religious Theory, must follow guidelines published on the journal site.